Ben Bova is the author of over 120 books, including the Grand Tour series. He’s received the Hugo award 6 times, as well as the John W. Campbell Memorial Award, Robert A. Heinlein Award, Isaac Asimov Memorial Award, and the Lifetime Achievement Award from the Arthur C. Clarke Foundation. Dr. Bova has been the president of the National Space Society and the President of Science Fiction and Fantasy Writers of America. Back in the 70's he was the editor of Analog Science Fiction and Fact Magazine. He's appeared on many shows such as Good Morning America and the Today show. Matthew Peterson: You’re listening to The Author Hour: Your Guide to Fantastic Fiction, which can be found at www.TheAuthorHour.com . I’m your host, Matthew Peterson, best-selling author of Paraworld Zero. 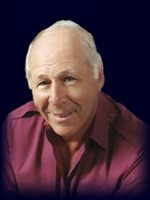 My next guest is Dr Ben Bova, author of over 120 books. He’s received the Hugo award 6 times, as well as the John W. Campbell Memorial Award, Robert A. Heinlein Award, Isaac Asimov Memorial Award, and the Lifetime Achievement Award from the Arthur C. Clarke Foundation. Dr. Bova has been the president of the National Space Society and the President of Science Fiction and Fantasy Writers of America. You might have seen him on Good Morning America and the Today show, and now he’s here today on The Author Hour. Thanks for being on the show today. Ben Bova: It’s my pleasure. Matthew Peterson: But you had been called in to do a radio interview at the last moment. What was ironic about that is that the topic of the panel was publicity. Ben Bova: [laughs] Yes, I remember. Matthew Peterson: So I didn’t get to meet you at that time, but it’s nice to meet you now. Ben Bova: The feeling is mutual. Matthew Peterson: Now, you’ve received quite a lot of awards, and I didn’t even mention some of them, but there’s one I did want to talk about and it was one that you got recently. . . it’s the Ben Bova Award you got at the OmegaCon in 2008. Ben Bova: Yes. I was very surprised by that, but the OmegaCon folks started an annual award in my name, for realistic science fiction. Ben Bova: Well, I’m getting up there in age. Matthew Peterson: Back in the 70's you were the editor of Analog Science Fiction and Fact Magazine. Matthew Peterson: Which I’m happy to say is still in print today. It’s the longest-running magazine of it’s kind. Do you ever find yourself looking over the magazine and wishing you were still involved with it? Ben Bova: No, no. I think Stan Schmidt is doing a marvelous job. And I became a magazine editor by accident. Ben Bova: Yeah. John Campbell had been editing the magazine since 1937, but in 1971 he unexpectedly died of a heart attack. So I was drafted to replace him. Matthew Peterson: And you did that for several years, a number of years, didn’t you? Ben Bova: Yeah, I worked there for 7 years and then by even greater fluke went to work for Bob Guccioni at Omni. Matthew Peterson: At Omni, oh. Ben Bova: But editing has always been sort of a hobby with me. I’m a writer; that’s what I do. Matthew Peterson: Yeah, I know a lot of people who do both, editing and writing. Some like the editing more and others like the writing. But you’re very versatile. I mean, you’ve written over 120 books and you’ve done editing, and you’ve worked a lot in the science field as well. One of the things you’re most well-known for is the Grand Tour series. One of the latest novels in there, Titan, won the John W. Campbell Memorial Award for best science fiction. Ben Bova: Yes, I was quite surprised and pleased at that. Matthew Peterson: Yeah. Well, tell us a little bit about the Grand Tour series. Ben Bova: Well, basically the Grand Tour is a multi-volume saga of the human race expanding through the solar system. It includes novels about the human exploration of Mars (the development of the first permanent human settlement off the planet Earth), novels set in Venus, Mercury, Jupiter, Saturn, and several among the asteroids of the Asteroid Belt. Matthew Peterson: Ahh. And these aren’t too far into the future are they? Ben Bova: No, they’re basically set in the mid to late 21st Century. Matthew Peterson: Yeah. And your latest one, Mars Life. Tell us a little bit more about Mars Life. Ben Bova: Well, Mars Life is the third of the novels that I’ve written about the human exploration of Mars. And the obstacles that the explorers have come up against. Not only the environment of Mars and the difficulties of working there but the obstacles back on Earth: the cuts in funding, the resistance to new ideas. So Mars Life really deals with an attempt to find out what kind of life existed on Mars before--you know, millions of years earlier. What I’m positing in these novels was that an intelligent species arose on Mars but was wiped out in a great cataclysm about the same time that the dinosaurs were wiped out on Earth... and for the same reason. Ben Bova: A large meteor, an asteroid really, crashed into Mars with such violence that is destroyed almost all the life on the planet, including these intelligent folks, who had a level of intelligence like stone age. Ben Bova: And although they understood what had happened to them, they had no way of combating it, of saving themselves. Matthew Peterson: Unlike on Earth, humans ended up continuing on or ended up evolving. Ben Bova: Well, they developed eventually. Matthew Peterson: Yeah, developed, yeah. Ben Bova: Well, on Mars, similar developments would have occurred, but the planet was really devastated much more severely than Earth. Matthew Peterson: Yeah. Well, that is interesting. A lot of the books in the series are hard science fiction about what could happen in the near future. Matthew Peterson: I find that very interesting. You’ve predicted quite a few things, haven’t you? Ben Bova: Yeah, yeah. If you watch what’s going on in the research laboratories. If you understand what science is doing, then you begin to understand what is possible. And this allows you to gain yourself a great reputation as a prognosticator. Matthew Peterson: Yeah. Well, one of the things you’ve done, because you work so much in the science fiction arena, you’ve also been called up to work with a bunch of film makers and television producers like Woody Allen and George Lucas and Gene Roddenberry. Ben Bova: Yeah. I worked with Woody on his science fiction project, Sleeper. That was a lot of fun. Matthew Peterson: So they’re calling upon you to help them to make sure they get it right? Ben Bova: Woody basically wanted someone with science fiction credentials to assure him that once the movie was done, the science fiction community wouldn’t throw stones at him whenever he left his apartment. Matthew Peterson: Oh, okay, yeah. Ben Bova: Then I helped a little bit in formulating some of the background for some of the futuristic scenes. But he was really great to work with. He’s not at all the nebish that he appears on screen. He was very much in charge throughout the whole project. Matthew Peterson: And I hear you’re working on another movie, Repo Men, starring Jude Law and Forest Whitaker? Ben Bova: Yeah. I’m just a consultant on that one. Matthew Peterson: A consultant, okay. Matthew Peterson: So you mentioned working with Woody Allen. What’s it like working with some of the other directors? Ben Bova: As I said, working with Woody was a joy. Gene Roddenberry I think was the one person involved in motion pictures and television who really liked science fiction, who understood it. And understood its capabilities. He started Star Trek basically because it allowed him to do things on television that he couldn’t do in a normal series. There were so many taboos that the TV executives figured this is supposed to be science fiction; it’s set far in the future, so we don’t have to worry about things like inter-racial kisses. Matthew Peterson: Yeah. Yeah, ‘cause that was one of the biggest things I remember when I was really young, was the inter-racial, you know, Chekov and Sulu and Uhura and all the different . . . You know, it wasn’t a big deal at all to everybody to be working with different . . .
Ben Bova: That’s right, it was in the early 1960's. Matthew Peterson: Well, I look forward to looking at Repo Man and some of the other films that you’ve worked with. So you got another book coming out in February. Matthew Peterson: Called Able One. Matthew Peterson: Tell us a little bit about Able One. Ben Bova: Able One . . . when I started this project, it was kind of science fictional, but today it’s history. Ben Bova: Able One is an acronym for the Airborne Laser program. This actually exists. Our missile defense people have been working on a project where they put a very large, a megawatt class laser, in a Boeing 747 and its mission is to knock down ballistic missiles while they’re being launched. Ben Bova: I go back to the 1960's. I worked at the lab where the first high powered lasers were built, and it became obvious to us back then in the ‘60s that one use for a high powered laser is to destroy ballistic missiles. Ben Bova: Especially during their launch phase, when their rocket engines are still burning and they’re very, very vulnerable. So the Able One Aircraft is supposed to be able to fly close enough to the launch sight of an enemy ballistic missile and shoot it down while it’s still . . . its rocket engines are still burning. Ben Bova: Believe me, there are political problems with that, that are much, much more difficult than the technical problems. The plane is built. It is flying. It is being tested today against ballistic missiles, but the political problems in Washington and elsewhere around the world are much more difficult to solve. Matthew Peterson: Well, I remember years ago hearing about the Star Wars program and how that was going to be this wonderful thing to help protect the country and . . .
Ben Bova: Yes, it worked! You know, the Russians gave up. The Soviet Union collapsed in part because of the potentiality of Star Wars, of the strategic defense initiative to negate the Russian lead in ballistic missiles. We literally broke their backs technically and financially. Matthew Peterson: With that threat. So Able One is right in the midst of this, then. I assume it’s about creating the technology and going through the military . . .
Ben Bova: Well, it’s about the fact that this plane is on a test flight and the North Koreans begin launching really long range missiles across the Pacific. Missiles that can reach San Francisco. Ben Bova: And all of a sudden this plane on a test flight out of Alaska with a skeleton crew of civilians is ordered to get itself to North Korea and shoot down those missiles. Matthew Peterson: So I can imagine this has some kind of thriller feel to it. Ben Bova: Yeah, it is a thriller. It’s not science fiction, really. Matthew Peterson: Yeah. Well, modern day science fiction, like I mentioned earlier. That is amazing. ‘Cause you would just never imagine something like this, you know 80 years, 50 years ago. I mean we were hardly getting to the moon, let alone shooting down missiles like that. That’s just an amazing thing. Ben Bova: The thing about science fiction is that a lot of it does come true. If you look at the future and consider what human beings are capable of doing, then science fiction I think is your best way of preparing yourself for the possibilities of the future. If you read enough science fiction, you’ll never be surprised by what happened. Matthew Peterson: Yeah. We have to go to a commercial, right now, but I’ve really enjoyed speaking with you. Well, I’ve been speaking with Ben Bova, award-winning author of over 120 books. Thank you so much for being on the show today, Ben. Ben Bova: My pleasure, Matthew. Matthew Peterson: Alright, be sure to visit www.TheAuthorHour.com to listen to Ben Bova’s bonus question. Don’t go away. I’ve still got Joe Haldeman coming up next.